American doctor Tara Moore wants to disappear. On the run from an abusive husband, she seeks shelter on a windswept Irish island and dismisses the villagers’ speculation that she is descended from a selkie--a magical creature who is bewitching the island. But when a ghostly woman appears to her with a warning, Tara realizes it was more than chance that brought her to this island. Desperate to escape a dark and dangerous past, she struggles against a passionate attraction to handsome islander, Dominic O’Sullivan. But the enchantment of the island soon overpowers her and she falls helpless under its spell. Caught between magic and reality, Tara must find a way to wield both when a dangerous stranger from her past arrives, threatening to destroy the lives of everyone on the island. I first read The Selkie Spell by Sophie Moss a few months ago and absolutely adored it. I'm also a huge audiobook addict, so when I learned that The Selkie Spell was being re-released as an audiobook, I leaped on the opportunity to enjoy this wonderful tale once more in audiobook form. Here's a little snippet from my original review of the eBook edition, but you can also read my full review here. I must admit, I'm a real sucker for fantasy fairy tale romances and this one was no exception. The Selkie Spell also had the bonus of combining fairy tale magic and romance with real issues and multidimensional characters. In my experience, there are broadly speaking three types of audiobooks: those in which the narration diminishes the enjoyment of the book, those in which it simply is another way of absorbing the text, and those in which the narration really adds to the entire story. Hollis McCarthy's narration of The Selkie Spell definitely falls into the latter group. As mentioned in my review of the eBook, this is no simple fairy tale romance, but one with a lot of depth, and Hollis McCarthy's narration of Tara Moore's story adds such wonderful color to the tale. During the dialogue, she managed to capture the various accents of the individual characters. This can often go badly in stories like this which have multiple accents (in this case American and Irish), but her character accents were flawless. During the main narration, and particularly the parts that captured the fantasy elements of the story, Hollis McCarthy's narration seemed very reminiscent to me of the way adults read stories to young children, all magic and wonder, which was perfect for this fairy tale. As you can probably tell, I really enjoyed re-experiencing this story as an audiobook! There's nothing better than having a good fairy tale read to you, no matter how old you are. Though given the content this fairy tale is definitely one for the adults. To celebrate the release of the audio edition of The Selkie Spell, Sophie Moss is giving away three copies of the audiobook, as well as a $10 Amazon giftcard. 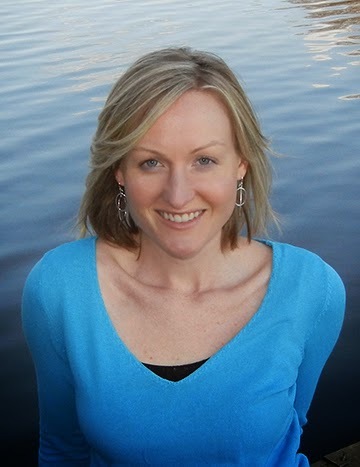 Sophie Moss is an award-winning author of four full-length romance novels. Her stories are featured consistently on Amazon Kindle Bestseller Lists. Known for her captivating Irish fantasy romances and heartwarming contemporary romances with realistic characters and unique island settings, her books have appeared twice in USA Today. As a former journalist, Sophie has been writing professionally for over ten years. She has a B.A. in English from the University of Vermont and she is a long-standing member of Romance Writers of America. Sophie currently lives in San Diego, California, where she is writing her next novel. When she’s not writing, she’s walking the beach, volunteering at the local Humane Society, or working in her garden. 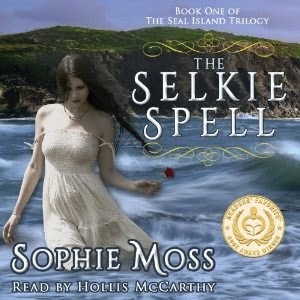 The Selkie Spell, written by Sophie Moss and read by Hollis McCarthy was released as an audiobook on March 26 2014. The audio edition is available on Audible, and paper and eBook editions can be found on Amazon.